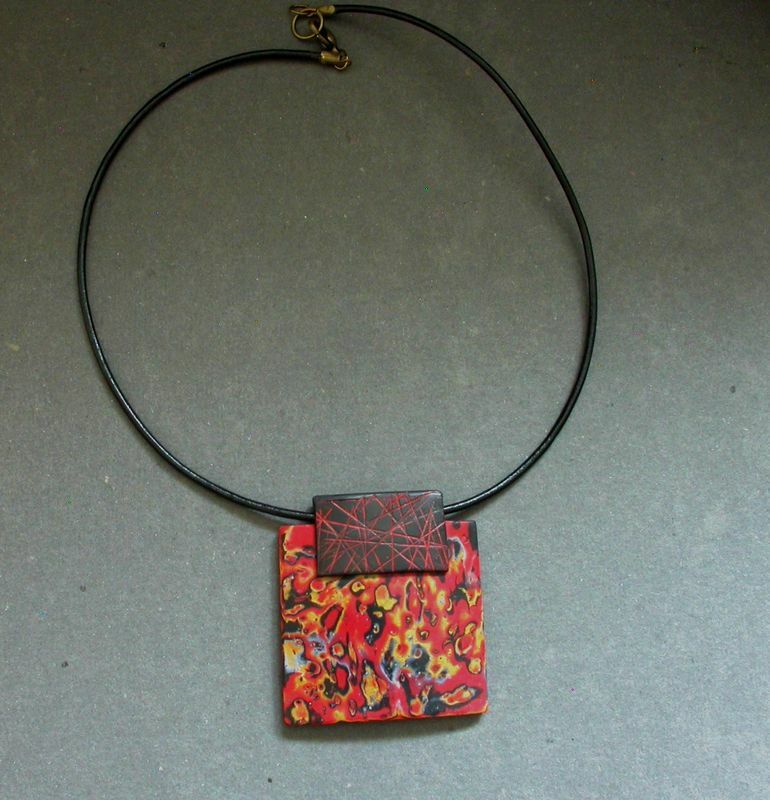 France’s Cecile G has added some red polymer clay pendants to her site to brighten the season. Even though she’s working from established designs and techniques, her personal stamp on the work is remarkable and she brings her own voice to the pieces. I’m fond of the way she’s crafted a companion bail on the red pendant. The color composition of these elongated beads is like a painting. Comb through her photos by clicking the links in the right column on her blog to get a good look at her polymer adventures. THANKS to Melody Tallon who spotted the broken email blog feature. If you didn’t get your post via email this week, you can blame my tinkering. Keep your fingers crossed that it works today. I love red and your work is remarkable. I’m new to polymer clay and I’m still working on my own personal sytle. Besides being patient any other advice. Your lovely post about my polymer clay work on PCDaily is a great happiness and a great luck for me, thank you very much Cynthia! Your work is beautiful and inspirational.